Benetti has over 140 years of history, close to 300 boats built, over 300,000 sq meters of production facilities at six boatyards in Italy. They currently build composite motor yachts from 93′ to 145′ and fully custom steel and aluminium motor yachts from 47 meters. SYS offers used Benetti Yachts for sale worldwide, including Benetti Motor yacht, Classic, Vision, Sail Division models and more. Don't see the vessel you're looking for here? Contact our experienced yacht brokers for assistance, we look forward to helping you find the yacht that is right for you. Founded in 1873 by Lorenzo Benetti, Benetti Yachts is one of the oldest luxury shipyard in the world. Today, they build semi-custom composite yachts from 93′ to 145′ and custom steel and aluminium superyachts. The company was later managed by his two sons Gino and Emilio, who renamed the shipyard Fratelli Benetti and quickly gained reputation outside the waters of the Mediterranean Sea. After the Second World War, with the disappearance of commercial sailing vessels built from wood, Benetti changed direction and began producing pleasure craft made from steel. Then in the early 1960s the boatyard produced its first luxury mega yachts. Since 1980 the fleet has included motor yachts in the 30 to 60 meter range and beyond, not least the famous 86-meter ‘Nabila’. In 1985 the Boatyard was acquired by the celebrated Turin-based boat builder Azimut Spa, which transformed Benetti into the modern, technologically advanced reality we know today: a forward-looking and innovative boatyard, but also one that proudly retains its traditional values of experience, skill and a passion for fine craftsmanship. Buying a Benetti: We offer used Benetti yachts for sale worldwide, including Benetti Motor yacht, Benetti Classic, Benetti Vision, Benetti Sail Division models and more! Contact our sales professionals for immediate assistance. Selling Your Benetti: With a team of experienced yacht brokers and marketing professionals, we will employ a comprehensive marketing approach to ensure your vessel receives maximum global exposure online as well as exposure in person at major boat shows. 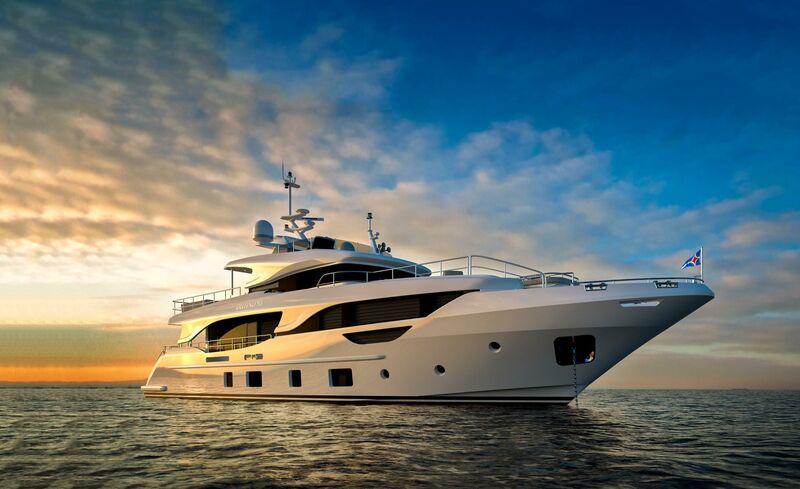 Learn more about how SYS Yacht Sales will help to sell your Benetti yacht!